WHAT IS 18C of the Racial Discrimination Act? Section 18C of the Racial Discrimination Act says that it is unlawful for people to say or do anything that is “likely, in all the circumstances, to offend, insult, humiliate or intimidate another” on the basis of their “race, colour or national or ethnic origin”. To ensure there is a reasonable balance between this legislation and free speech s18D follows. The Australian Indigenous Doctors’ Association (AIDA) today releases our Racism in Australia’s health system policy statement. The statement sheds light on how racism negatively impacts Aboriginal and Torres Strait Islander people in Australia’s health system and highlights the pathways AIDA has established, is collaborating on and promoting to overcome racism in health. 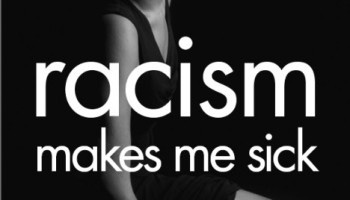 Racism is not always overt; it is about beliefs, stereotypes, prejudices, and discrimination. Although progress is being made, racism is still deeply engrained in the structures underpinning Australia’s health system and at times, continues to influence the behaviour and attitudes of people working in the health system. It is widely recognised that racism is a social determinant of health and has been shown to lead to poorer mental and physical health outcomes for Aboriginal and Torres Strait Islander people. Racism also provides a barrier towards increasing and retaining an Indigenous health workforce. It is undeniable that Aboriginal and Torres Strait Islander medical doctors and students contribute to closing the gap on Indigenous health outcomes. Their unique ability to align clinical and socio-cultural skills to improve access to services and provide culturally appropriate care for Aboriginal and Torres Strait Islander people is evident. As the peak body for Aboriginal and Torres Strait Islander medical doctors and students, AIDA is committed to tackling racism in Australia’s health system and advocates for a zero tolerance approach. AIDA believes that actively pursuing an equitable number of Indigenous doctors and other health professionals supported by a culturally safe health system provides the most promising path towards combatting racism, and closing the gap on Indigenous health outcomes. AIDA is available to assist medical schools and colleges to develop, implement and maintain culturally safe environments for their students and doctors. For further information on how we can assist please contact us at aida@aida.org.au or call 1800 190 498.